As Chief Program Officer at the Gordon and Betty Moore Foundation, Aileen leads and oversees strategy for the Environmental Conservation Program, which seeks to protect critical ecosystems and balance long-term conservation with sustainable use. The foundation’s conservation program includes an interlinked trio of market-based approaches to conservation (the Conservation and Financial Markets Initiative, Forests and Agricultural Markets Initiative, and Oceans and Seafood Markets Initiative) as well as the Andes-Amazon, Marine Conservation, and Wild Salmon Ecosystems initiatives. Prior to joining the foundation, Aileen was an associate principal at McKinsey & Company, where she led client engagements in strategy, operation, and organizational effectiveness across a wide range of sectors. She has previously served as chair of the board of the Environmental Grantmakers Association and treasurer of the Western Conservation Foundation. 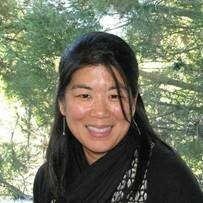 She also volunteers with her hometown of Los Altos Hills as a member of the Environmental Initiatives Committee. Aileen was born and raised on Long Island, New York. She attended Yale University, where she received a BA in political science and East Asian studies. She received her JD from Harvard Law School and is a member of the California bar.